Crafternoon : Spring into Spring! 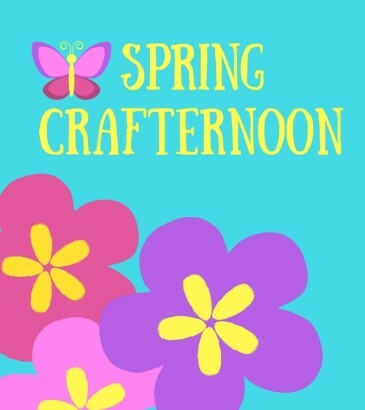 Name: Crafternoon : Spring into Spring! Join us after school to create four spring-related crafts. Feel free to gift your creations for Mother's Day or keep them for yourself! Bring your enthusiasm and we'll bring the supplies! Children of all ages are welcome. No registration required.